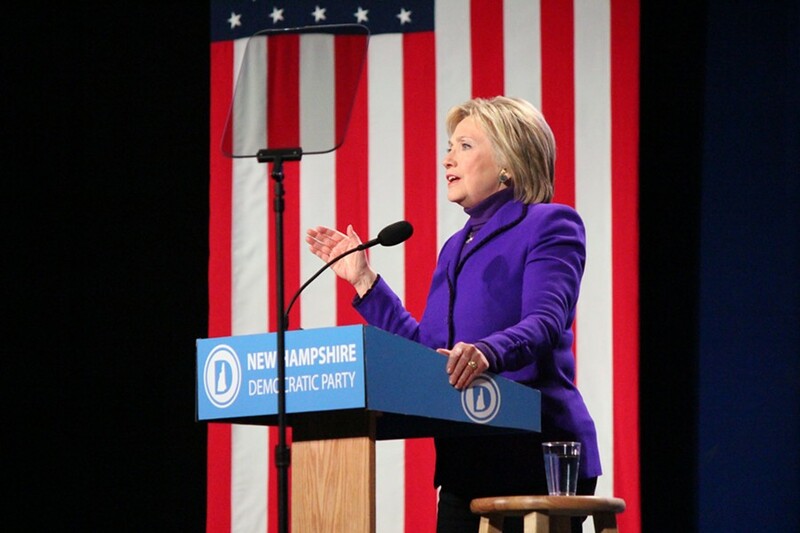 Hillary Clinton campaigning earlier this month in New Hampshire. Updated at 10:05 p.m. to note that the Burlington Free Press will not endorse. Two of Vermont's most influential newspapers endorsed Democratic presidential candidate Hillary Clinton on Sunday, delivering a tough blow to hometown hero Bernie Sanders. The Rutland Herald and the Barre-Montpelier Times Argus, which are owned by the same family and share an editorial board, hailed the "serious and substantive challenge" the Vermont senator has mounted against the former secretary of state, calling his contribution to the debate "of historic importance." The papers credited the insurgent candidate with leading a progressive "awakening" that would continue long after the election is over. "But outsider status, which Sanders has always enjoyed, does not automatically confer wisdom or ability," they wrote. "As the leader of a movement he has been a great success. As president of all the people, he is not the best choice." Clinton, the papers argued, is the candidate with the "thorough and realistic understanding" of policy and the "breadth of experience" to implement a progressive vision. And in a "scary" election season featuring Republican frontrunner Donald Trump, they wrote, "The Democrats must be prepared to turn back that threat with the best possible candidate." The Herald's and Times Argus' editorial may fall on deaf ears. A Castleton Polling Institute survey commissioned by Vermont Public Radio and released last week showed the Burlington resident leading Clinton 78 to 13 percent among likely voters in Vermont's Democratic primary, which takes place Tuesday. Newspaper endorsements no longer have the cachet they once did, and the Herald's and Times Argus' circulation have dropped precipitously in recent years. But thanks to the strong and persuasive writing of editorial page editor and 2001 Pulitzer Prize winner David Moats, the papers do retain influence. Though the Burlington Free Press often endorses political candidates, it will not do so in the presidential primaries, publisher Al Getler said Sunday. Seven Days does not endorse political candidates.